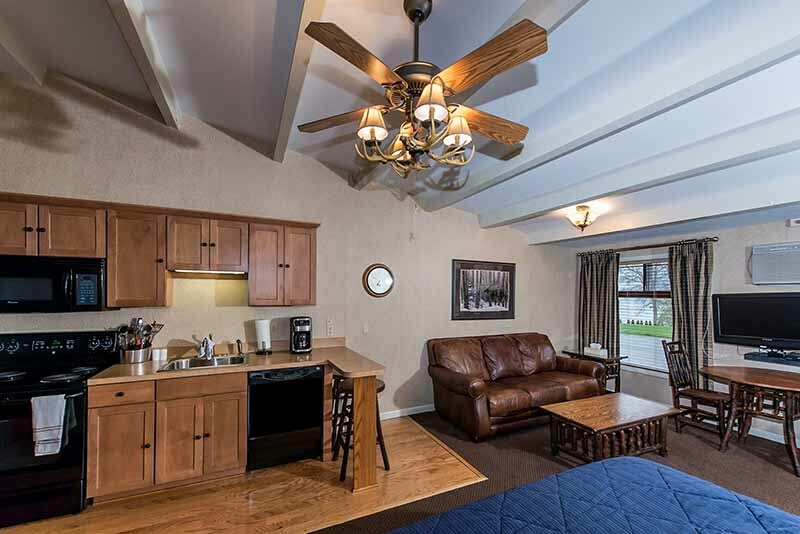 Riverside Suite with a full kitchen, 1 King bed in the main room, 1 Queen bed in the seperate bedroom. 2 double beds, a new kitchenette unit with glass top 2 burner stove, larger refrigerator, pots, pans dishes & silverware. Standard Room with 2 doube beds facing the St. Lawrence River.